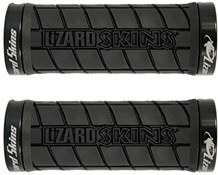 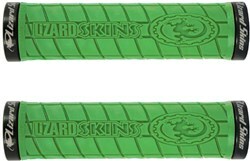 The Lizard Skins Lock-On Logo Grips attach securely to the bars using ODI Lock-On collars and have a low profile but sticky pattern. The Logo grips are a medium diameter, to suit medium hands. Easy to fit, comfy without gloves due to the low profile but large pattern. 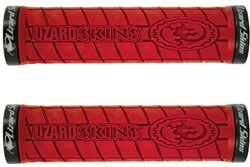 Sticky material provides plenty of grip. 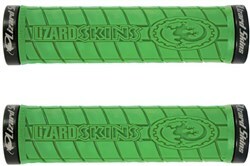 Basic end cap included and they look good.